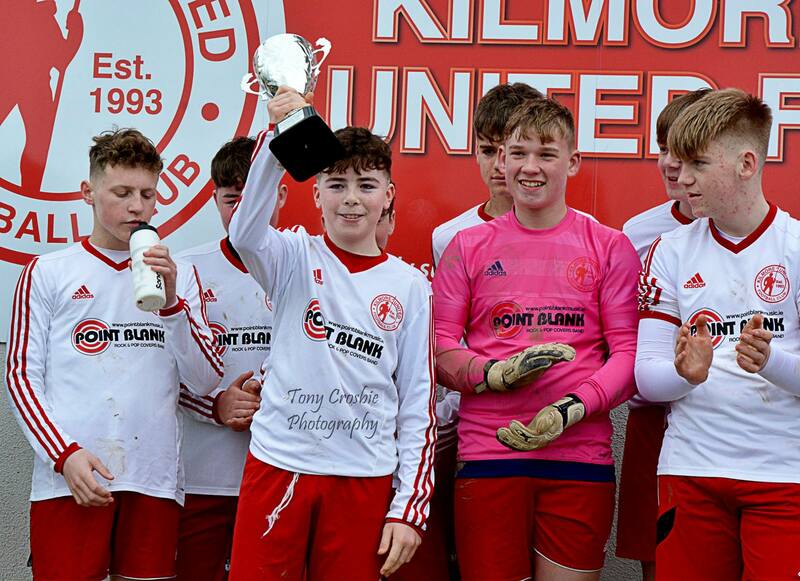 Kilmore United cruised to the Under-15 Division 2A title on Saturday with a big 6-0 win over visitors Moyne Rangers. The champions, who are managed by Paddy Moore and Andrew Irwin, were presented with their trophy and medals by Dave O’Brien of the Schoolboys League committee following the game. Kilmore’s victory saw them make it eight wins from their eight league games played to date.